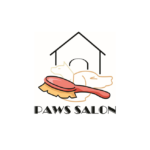 PAWS Salon is a professional all breed dog and cat grooming salon since 1991, with indoor daycare located in Old Town Scottsdale, Arizona. At PAWS, your pet is our pet. Tracy started working at the age of 12, and has been focused on customer service based businesses from the very beginning. She started as a babysitter for the neighbors and surrounding neighborhood, then progressed to jobs in customer service. She held positions at McDonalds, Thom McCan Shoes, The Bon Marche department store, Starbucks Coffee, AT&T Wireless, and various restaurants before she decided to call PAWS Salon home in 2002. Her service oriented experience plus a Business Management degree from Oregon State University, helped her grow into a small business owner continuing to focus on customer service and needs. 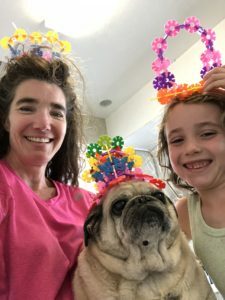 In June of 2004, she acquired Shear Pet Elegance, renamed it PAWS Salon and continued to provide high quality grooming service to customers and pets. Today, PAWS offers Doggie Daycare and Boarding Services, allowing customers to leave their pets/family members with a qualified facility where dogs are free to socialize, run and sleep together. Tracy has continued to use her business acumen and customer service skills to build and grow PAWS Salon to a formidable competitor in the Old Town Scottsdale, Arizona area. She has built relationships with the local Veterinarians in the area, as well as local Shelters and businesses. She has continued to help pet owners with individual issues relating to their pets and offer resources for them to work towards solutions. Check out those resources here and tell them Tracy sent you! PAWS specializes in all breeds for grooming, as well as cats, special needs pets, and rescue pets. Schedule a visit or call today, Tracy is looking forward to meeting you and your pet! PAWS Salon Scottsdale takes pride in it’s grooming services and daycare options for your most furry family members, See you soon! PAWS Salon © All Rights Reserved.